Gabrielle has enjoyed a rewarding and successful career working in various management roles over the last 20+ years. She has used her highly sought after skills to generate over $373 million in sales revenue over the course of her career, and continues to excel in the business community. Gabrielle has worked with major names in the skincare industry, including: Amarte Skincare, Murad, It Cosmetics, Perricone MD, Benefit Cosmetics, and spent 9 years as the Store Manager, Regional Merchandising Manager Marketing, Market Buyer, and Department Manager at Nordstrom. Gabrielle specializes in strategic business planning, operations management, competitive sales analysis, target marketing & penetration, sales team training, visionary leadership, and much more! Greg Hawkins, co-founder executive chairman at Glue Network and former CEO of Buy.com has experienced tremendous success in overseeing and growing businesses to their full potential. He has also to grow other major companies, such as: Ingram Micro, Covered Images Inc., BMS Practice Solutions, and various other companies. Under Hawkins’ leadership, Buy.com [a leading e-commerce company] experienced a revenue growth from $125 million to over $800 million. My goal is to improve the quality, appearance, and health of your skin! With all of the products on today’s market, it is difficult to know which one really works. The harsh reality is that most of them don’t, which is where I like to come in! After graduating from Biola University with my Bachelor’s in Business Administration with an emphasis in Marketing, I acquired my esthetician License from the State Board of Barber and Cosmetology of California. Both of these credentials, along with being raised in the beauty industry, have given me the proper tools to effectively grow my business. Taking good care of your skin is just as important as taking care of your teeth. In order to maintain optimal health, you need to establish an effective routine. But going beyond that, you need product that will work effectively with your skin. 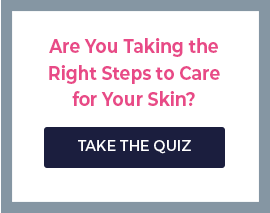 My medical estheticians and myself have taken the guesswork out of “what products” work by testing the products for quality before allowing them on my site, and offering excellent and professional customer service to help you find the right products for you. Jared Mitchell specializes in work as a small business SEO consultant, and has grown both Skincare by Alana and Beefysites.com into very successful, thriving businesses. Jared graduated from Biola University in 2003 with his Business Marketing degree. During his college career, he elected to take a course entitled “Marketing on the Web,” which ignited his passion for web design and Internet marketing. He has been creating innovative web technologies ever since, and has enjoyed applying his knowledge to his businesses, as well as the business of others around him.